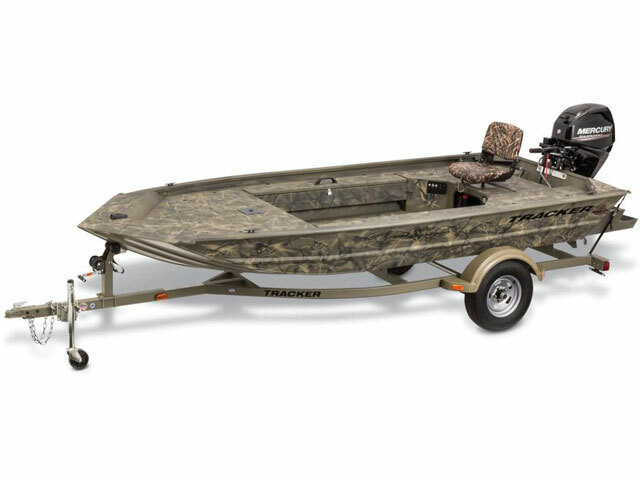 2016 Tracker Boats Grizzly 1548 MVX Sportsman, The all-welded TRACKER GRIZZLY 1548 MVX Sportsman is built for waterfowl hunting, but it's great for fishing and bowfishing, too. It sports a lockable and removable starboard gun box, and a port rod/gear box. The unitized stringer, transom, and Mod V hull give you a rock-solid boat with a smoother, drier ride. And the integrated sponsons at the transom improve shallow water performance. A big front deck, wide beam, 2 seat pedestal bases, and a roomy interior make this boat as comfortable as it is rugged. 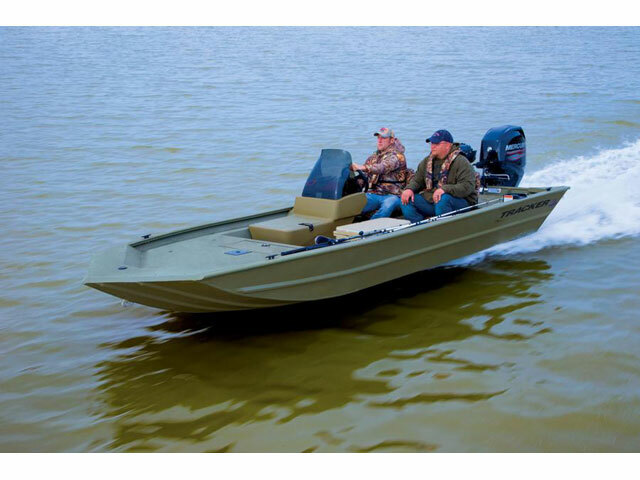 And it's finished with our industry-exclusive Forest Green powder-coat finish for extreme durability, and backed by the best factory warranty in aluminum boats. Available in optional Woodland or Grassland camo patterns. 2016 Tracker Boats Grizzly 1754 MVX SC, At 17'1" and with a wide 78" beam, the GRIZZLY 1754 MVX SC (side console) is an incredibly spacious and stable aluminum jon boat, and can be powered by up to a 75 HP motor. 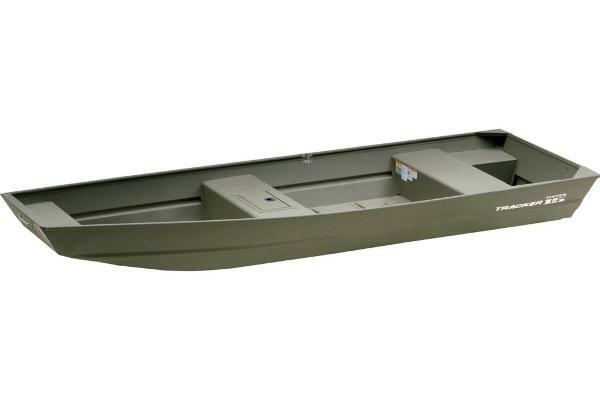 This versatile boat sports a 7° deadrise for a smooth, dry ride. And the solid .190 aluminum floor and welded-in, foam-filled sides add structural integrity and reduce hull noise. The 1-piece, fully welded hull is unitized to the all-aluminum box-beam transom via the full-length longitudinal stringer system-making the 1754 MVX SC one of the strongest, most durable jons we've ever built. 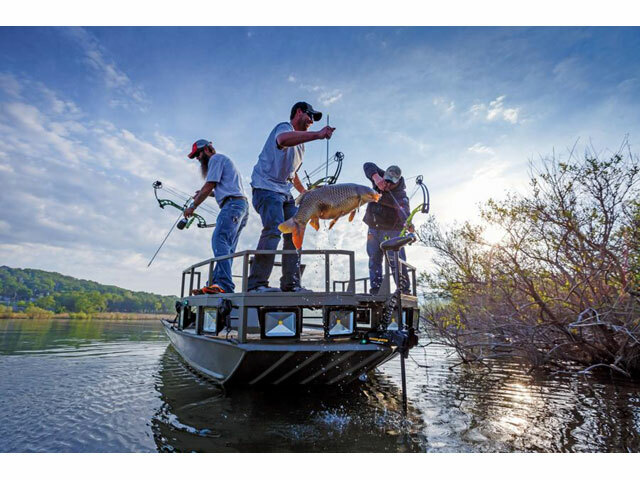 The huge forward deck and big aft deck make it ideal for bowfishing and angling, and the movable seat fits into bases in the bow and stern.